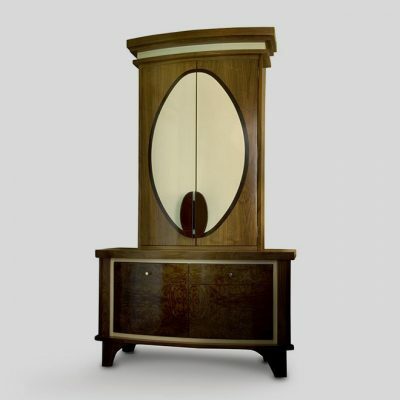 The sensational concave curved front armoire takes center stage with its aniline-dyed solid sycamore and white lacquer finishes. 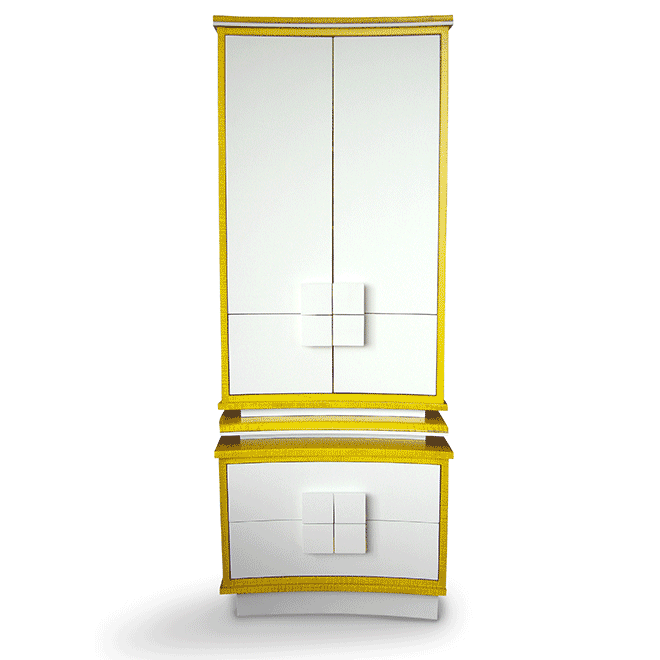 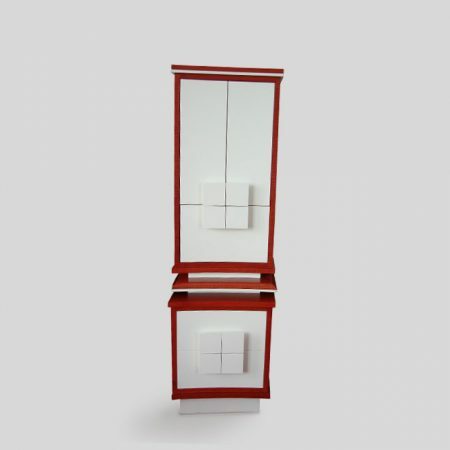 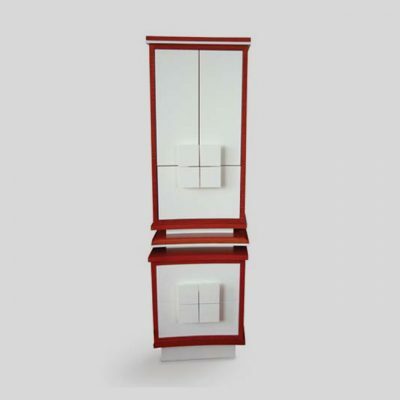 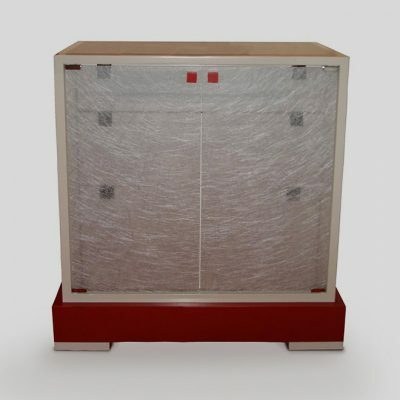 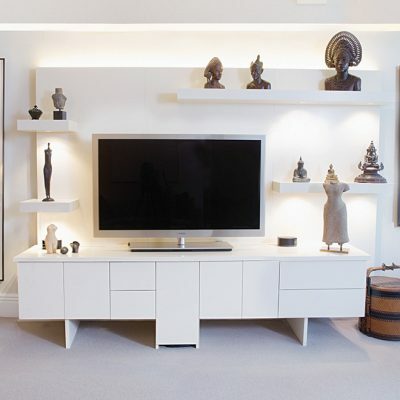 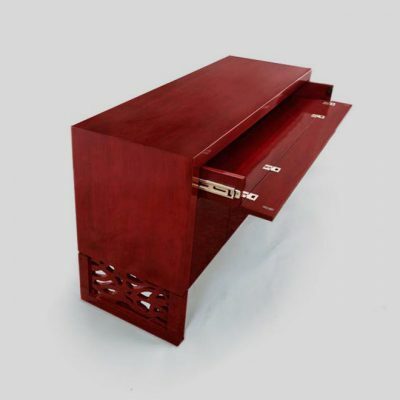 Versatile, this cabinet comes with three drawers and adjustable shelves. 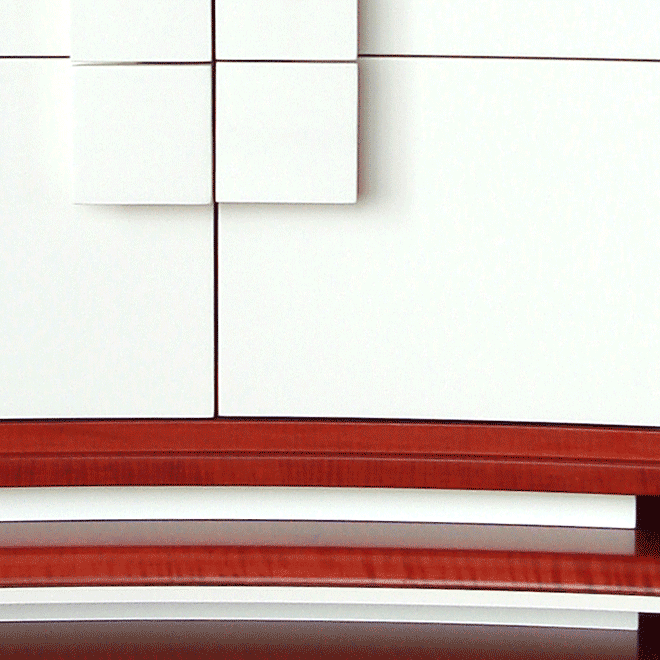 The attention to details such as found in the dramatic door pulls make this a contemporary masterpiece.